02.22.18 :: Categories: Safeguard Drinking Water. News Types: Press Releases. POUGHKEEPSIE — A new report identifies key actions needed to protect water quality in a critical area of the Hudson River – the drinking water source for seven communities and 100,000 people. 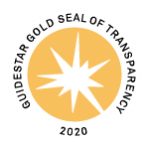 Among the recommended steps are a new Intermunicipal Council; updated surveys of watershed lands and pollution sources, and an assessment of the risk posed by a potential crude oil spill in the Hudson. The report was authored by the Center for Watershed Protection and commissioned by Riverkeeper with funding from the Park Foundation. It was developed in collaboration with communities that rely on the Hudson River for drinking water: the City and Town of Poughkeepsie; the Village and Town of Rhinebeck; the Towns of Esopus, Hyde Park and Lloyd; and the Dutchess County Water & Wastewater Authority. The report is the first to use Riverkeeper’s new “Drinking Source Water Protection Scorecard” to develop recommendations. The scorecard is a self-assessment tool, freely available at riverkeeper.org, that helps communities sort through the complex layers of policies, programs and incentives that can be used to protect “source waters” – the streams that feed into drinking water supplies. Riverkeeper developed the Scorecard after analyzing the failure to adequately protect the City of Newburgh’s public drinking water supply, resulting in a contamination crisis and the discovery of toxic PFOS in the water supply. Investments to improve drinking water quality have focused more on costly upgrades to treatment facilities, rather than improvements in water quality in the Hudson River. For example, the Poughkeepsie plant recently completed $18 million in upgrades, and the Town of Lloyd facility has identified the need for a $7.5 million project. Updates are needed to state Source Water Assessments, which are required under the Safe Drinking Water Act to identify potential threats to public drinking water supplies from pollution sources such as sewage treatment plants and hazardous waste sites. The assessments are seldom used, over 12 years old, and rely on 25-year-old data. An update for the seven mid-Hudson communities should include the risk of crude oil spills from commercial traffic on the Hudson. In the event of a spill, water reserves would run out in as little as 12 hours. Watershed-based management plans are needed for tributaries of the Hudson, and an intermunicipal council should be formed to manage the development and implementation of a plan to protect drinking water at its source. 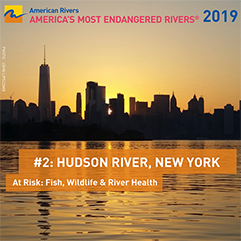 While there are active water quality monitoring and watershed protection efforts in the Hudson and its tributaries, these programs do not focus on protecting water quality for drinking water sources. Collaborative efforts like these are expected to make the seven municipalities more competitive for grants and other support associated with New York’s historic $2.5 billion Clean Water Infrastructure Act, which will provide multi-year funding for relevant projects, including $1 billion for clean water infrastructure and over $100 million for protecting drinking water at its source. Riverkeeper is an invited member of an advisory committee to assist New York State in developing new programs aimed at protecting public drinking water supplies. Riverkeeper was joined by representatives from the municipalities involved to release the report on February 22 at the Poughkeepsies’ Water Treatment Plant. Few people are even aware that the Hudson River is a source of drinking water. Five intakes along the mid-Hudson supply the seven shoreline communities with drinking water. The area has been a pioneer on drinking water quality before: The nation’s first drinking water treatment plant was built in Poughkeepsie in 1872. For more information about Riverkeeper’s Drinking Source Water Protection Scorecard, visit riverkeeper.org/water-quality/drinking-source-water-protection. Population totals are based on figures in Annual Drinking Water Quality Reports.